The time of the Victorians is definitely not my favourite historical period. Just don’t like the bigotry and two-facedness. 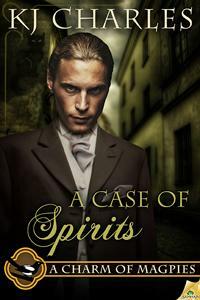 That said, I’ve read a few amazing books set in Victorian England – even if I didn’t seek them out myself. In my book, there’s nothing wrong with having books recommended to me. The better I know the person doing the recommending, the more likely am I to try their suggestion. Which is exactly how I arrived at KJ Charles’ door. It was a you’re going to love this one kind of recommendation, and seeing the books were set in London was a bonus. Another bonus was that there was magic – something I don’t read nearly often enough. I’ve read all four, and the spin-off novel Jackdaw, in one long lazy weekend and am just finishing a second, more leisurely read. 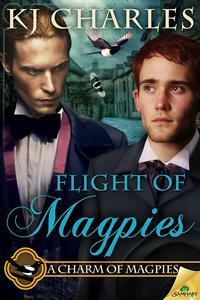 A Charm of Magpies is a lovely series that I’m bound to pull out at times to re-read. 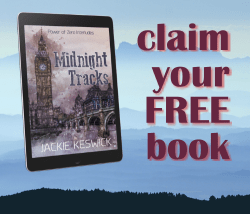 Well paced, well nailed together, beautifully imagined and populated with thoroughly likeable characters – I had a lot of fun with it. If you grab a Magpie book, you can look forward to inventive ways to kill people, giant rats, doctored gin and much reminiscences over China. Also a sweet romance (or two). And, of course, magpies. Crane and Stephen are delightful. Hard-headed and stubborn, both, and marshmallows underneath it all. Stephen’s loneliness and fierce independence are heartbreaking, as are Crane’s sometimes clumsy attempts to take care of things. 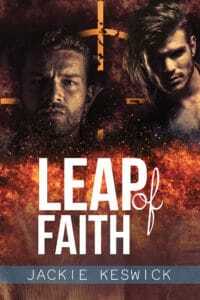 Together, they make a great team and I particularly liked the small glimpses of trust and care and – eventually – love that the author sprinkles through the narrative like glitter. Even the Victorian bigotry I so dislike is present. But it’s woven into the plot and rather than distract from the unfolding events – or irritate me to violence as it often does – it adds depth and character motivation. And then, of course, there’s London… and I’m not gonna get started on that or I’ll be here forever. 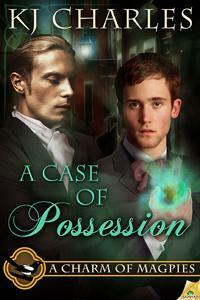 If you like a bit of magic with your romance, or a bit of romance with your magic, then check this out. 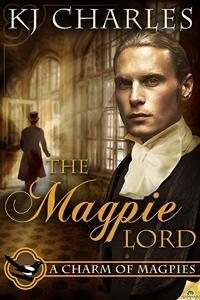 If you like historicals that allow space for the imagined, then A Charm of Magpies will fit the bill too.